It's been oh. . . a month, probably, since I've been here. Been busy working with Emily on her birthday party. This one was very manic. More manic than usual, I mean. But in all the best ways. You can guess the theme, yes? Good thing she did about 90% of the work, too. 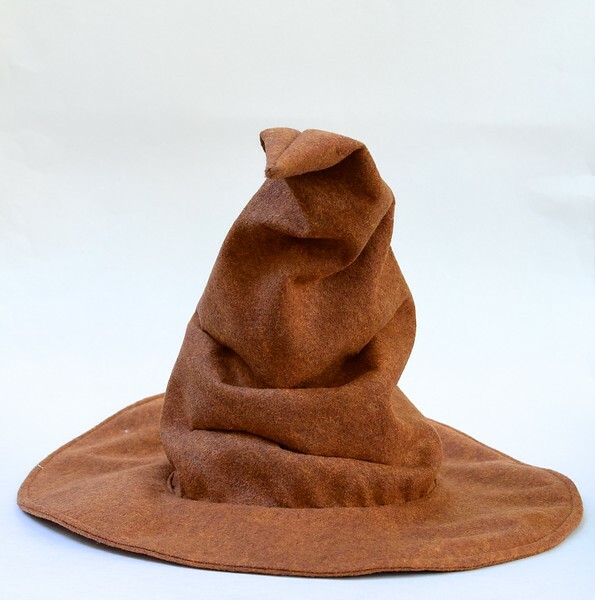 The Sorting Hat is totally WOW! My own little Harry Potter fan would adore it. Will you consider providing a tutorial for it? In case Lier does not do a tutorial (and it would be fabulous if she did! ), I think you could get a good effect with Simplicity 1582, if it is not too much bad form to mention a commercial pattern here (cringe). I made a wizard hat with that pattern and it looks much like the sorting hat above but straighter, so if it could be scrunched up it might work. Anonymous: thanks for sharing the Simplicity pattern! Not bad form at all, don't worry. Much more helpful to readers than hearing my same-old-same-old "er, I don't know how to use commercial patterns". Chiara: yes, tutorial. Easier than you think. Soon. Oh joy! Thank you sooo much! Oh my goodness I can see the face in the hat. Splendid work. Ooooh, I'm looking forward to seeing this one! My big girl LOVES your sorting hat. Her first question was "can you make one of those for me mummy?" It looks a bit beyond me, but maybe there's a tutorial coming? Yes, Katie, tutorial. Soon. For the hat in general, and also for the face-making. I did the face in about 15 minutes while sitting on a deck chair at the swimming pool. Not difficult at all. That hat is rad! Nice work. Is it leather or felt? Elisha: It was cheap acrylic felt. Like, $2 for the half-yard we used. But we were lucky that it came in this interesting mottled shade of brown. Hooray! I'm excited to hear more about this party as Emma wants to have a Harry Potter party in February for her 11th birthday. I can't wait to hear about this party, I'm sure it was incredible!! Ahhhhhhhh! Ikat Bag party AND Harry Potter. Too much goodness in one place. 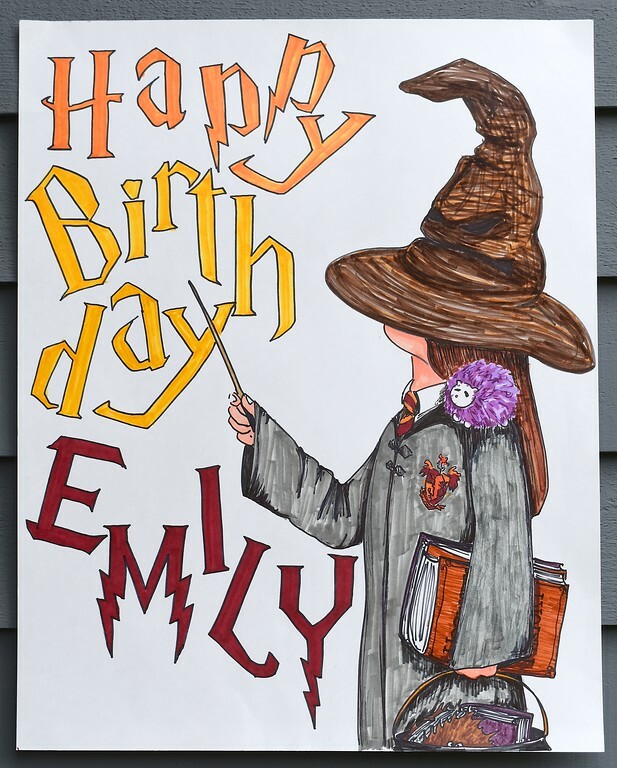 I sincerely hope one of my children wants a Harry Potter party someday, so that I can employ some of your genius ideas :). I'm curious as to what you used to stiffen your hat brim—interfacing maybe? Thanks! Anonymous: yes, interfacing. And the felt itself is pretty stiff.